Have you met my Rewards? Let me introduce you. On the left is elder daughter, Lyn. Her whole name is Lynda Sue but we're not quite southern enough to constantly hang the whole double name thing on her. Besides, when she was learning to write her name, Lyn was enough. We reserved Lynda Sue for times when we needed to be firm! Lyn and her family live in the Knoxville, TN area. On the right is younger young' un, Becky. Kelly Rebecca to be exact. She dumped the first part herself. I understand that. I did the same thing with my name. When she was born, we still weren't sure if she would be a Kelly or a Becky. One look at her and that was solved. She has been Becky forever, but in later years even shortened to Bec. Especially by her nephews... Aunt Bec. With her hysterical hubby (her words, not mine!) and two kids, Becky lives in Jacksonville, FL. They're especially on my mind this time of year because it's their birthday time. Lyn is our leprechaun... born on St. Patrick's Day, March 17. Two years and fifty weeks to the day later, we welcomed Becky, March 3. Both today are active moms with busy lives... the kind of harem scarem life I remember when they were growing up. And Lyn is really tired of leprechauns! It's a joy of my life that they are both educated with master's degrees and both are married to godly men who are great dads. What more can parents ask? O yes... the grandkids. They are spectacular but that's a whole 'nother blog. Lyn has been Homeschooling her two boys, Andrew and Jack, for two years. With her education in family counseling, she's better prepared for that task that a lot of us would be. I sat and listened one day while she worked a math lesson with her son for two hours and I almost understood it! And that's saying something because math is not my thing. The challenge she and her husband face everyday is that their elder son, Andrew, has Aspberger's Syndrome. His mother is his greatest advocate. I'm so proud of the way she works with both her boys, keeping them active in church and scouting activities. Lyn herself is also active at church, where she is involved with the Women's ministry and sings with a praise band. 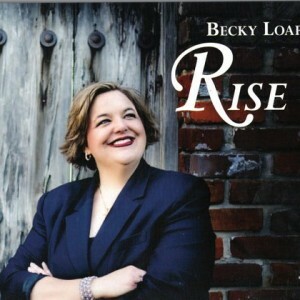 Becky has made music her life and is on the voice faculty at both Jacksonville University and University of North Florida. Like her sister, she and her family are active in their church. Daughter Charlotte and son Nathaniel attend a charter school near their Father's office. We were all stunned last Fall when Nathaniel -age 5 - was found to be acutely hearing impaired. After enduring test after test, it was determined that he would need a hearing aid for his left ear. Taking a page from her sister's advocacy book, Becky has been the mom on the case, learning everything possible about hearing loss in children and the care of a hearing aid. All of this while keeping Charlotte, a nine-year-old socialite, going in her own groove. Becky being the most serious musician among us, recently recorded her first EP album under the care of producer Camp Kirkland and arranger Brian Green. It's called Rise and you can find it on iTunes and GooglePlay. Her second recording is in the works and will be available by the end of this year. 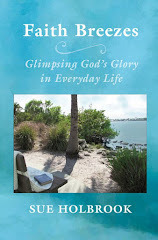 In the meantime, watch for future activities on her website beckyloarministries,com. And last, but by no means least, listen for her on www.babbiemasonradio.com. You can hear her interview with Babbie and a cut from her album, Rise Above. Happy birthday to both my Rewards... you are the best and your mama (and your daddy!) love you to the moon and back.